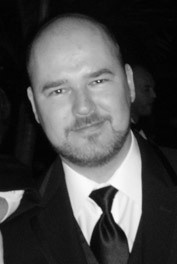 Writer and filmmaker Sean Breathnach has produced a number of short films and music videos in his native Ireland. In viewing a selection – both his and others – I can’t help but notice what I would call a unique sensibility. A knack for telling the small story with beauty, charm, warmth – and with self-awareness, even humor. Breathnach says, “I like to tell stories that are subtly self-aware. I think this is because I like to entertain rather than to lecture. Perhaps I’ll make a more serious film some day, but things are pretty serious here in Ireland these days and I’d prefer to help movie-watchers escape from that even for a few minutes. Where do his story ideas come from? “I find inspiration in many things. The countryside, the people I meet, the stories I hear, in books and films. Even a single sentence I might read in a newspaper can inspire me. child. I wrote my first novel when I was 14. No, it wasn’t published – it was rubbish! I used to mess around with my Dad’s old camcorder too. But even though I loved film and story, I never really knew that screenwriting or directing could be a career. “Then one time when I was out of work I ended up writing a comedy script. My wife loved it, and some friends told me it was good. So I sent it to some production companies in the UK, and one of them took an option on it. This was when I realised that I could actually make it. Nothing came of the option in the end, but my confidence had been given a boost. “So I made a short film with a few friends, then I made another one, and another one, and I’ve kept on going. 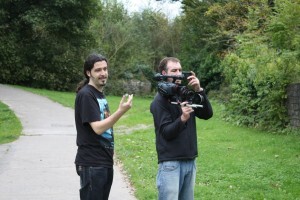 I joined up with a film collective in Cork (egomotion) and ended up meeting actors, cinematographers and crew. All of us helped each other to learn and to get our films made. Now it feels like I’ve been making films forever, but I am always learning. I wanted to know if there are a few key elements Breathnach always goes for in his directing work. “This is a hard question to answer,” he says, “because it depends on what I am working on. I spend a huge amount of time planning a film. The more films I make, the more time I spend planning. I know this drives the actors and crew nuts, but in the end it is worth it. I imagine the film in my head, over and over, from different angles and different perspectives. I try to shoot the scenes in my head in several different ways. Usually the best way to shoot it reveals itself eventually and that is a great moment. “Of course, the whole thing is subjective. I am simply looking for the best way for me to shoot it. That’s all any of us can do. No point in imitating. You have to have your own style. Being a filmmaker in Ireland today, especially working in small story, is financially unrewarding. Breathnach says, “The only way a filmmaker in Ireland could earn a living telling the small story is if the small story happened to be advertising a product! 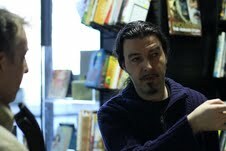 A word of thanks to Irishfilmmakers.com, who posted a copy of this interview on their site as well. Here’s a link to Sean Breathnach’s website. Last month I posted part one of an interview with Irish writer and filmmaker Frank Kelly. Several of his films are Derelict and 140. Today I follow up with part two: Kelly’s thoughts on the new wave of filmmaking in Ireland. Ireland has long been known for its strong tradition in writing and theatre. I asked Kelly if Irish filmmaking is finding its own place in that tradition. “Yes, I think so,” he says, “especially right now. There are a bunch of new filmmakers emerging, who are making great work, powerful work that’s rattling some cages. I definitely think that Ireland is in the middle of a new wave. There has never been a huge tradition of filmmaking in Ireland, not like in the UK, for example. There are great films that have come out of Ireland, and great filmmakers, but there have just never been the resources or finances here for sustaining an industry of a comparable scale. “Strangely though, there is a darker tone to most of these films. I think Derelict sits well among them for tone. I mentioned before that my story telling comes out of my environment, what is and what’s going on, around me. I think that could be said for most filmmakers actually. “And in Ireland, among the corruption, the bad politics, the thieving bankers and greedy developers who raped our country, we filmmakers watched it, felt it, lived it and are now telling it. You have Terry McMahon’s Charlie Casanova, Ciaran Foy’s Citadel, Conor Horgan’s One Hundred Mornings, Brendan Muldowney’s Savage, Lenny Abrahamson’s What Richard Did… the list goes on. Brilliant filmmakers, making outstanding films that hold a mirror up to what’s happening in Ireland. Asked if there is a unique sensibility in Irish film, Kelly comments, “It’s really interesting at the moment. Many of the filmmakers coming up now are writer/directors, they’re young, thirties, and they’re pissed off. Pissed off with the system, with how things have gone for them, with the government – and it’s coming out in their films, in our films. I’m no different. Many of the films in the last couple of years have been extremely dark, violent and angry pieces. It really is an expression of what Ireland as a country is feeling beneath it all. 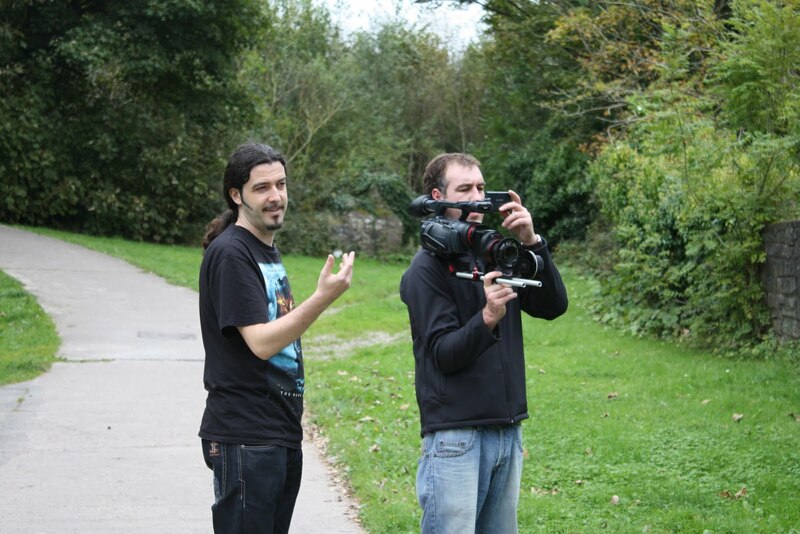 The filmmaking environment is difficult in Ireland. “It’s tough here,” Kelly says. “Ireland is like a small town. Everyone knows everyone. Which is good on one hand, but bad on the other, because everyone’s going after the same money, and there’s not a lot of it. “But you build your own reputation, your own crew, and if you write a good story people will be a part of it. There are a lot of very talented people, good crew, brilliant cinematographers, writers, directors, make-up artists… across the board we’re world class. “As for films, there are the ones I mentioned above. You also have Grabbers, a fun Tremors-style comedy/horror; The Runway, which is the one bright, happy and life-affirming film I’ve seen! Lance Daly’s Kisses; getting back to the dark stuff there’s Rewind by PJ Dillon; Kirsten Sheridan’s Dollhouse; Lenny Abraham’s two previous films Adam & Paul and Garage, both written with Mark O’Halloran. “And going back a few years there is of course Once by John Carney, which I think turned the spotlight back on Irish films. I think Once probably gave us indies a better chance to make our smaller films. We could say, ‘hey, maybe we can’t do it big, but we can do it well’. Among them you have the bigger filmmakers, Neil Jordan and Jim Sheridan working away, and Dundalk man John Moore taking Hollywood by storm. I asked Kelly if Ireland has strong actors coming up through the system. “In Dublin there are numerous acting schools,” he says. “Dublin is awash with ridiculously good actors. 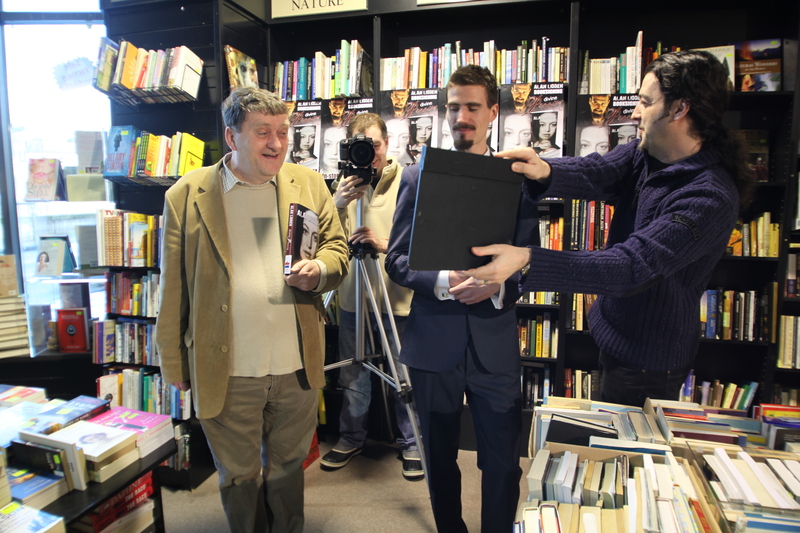 When making an indie film in Ireland you’re at least guaranteed brilliant performances. See part one of Frank Kelly’s interview. Check out the Irish Film Board and Ireland’s Filmmakers Network.